We have the right to amend, add, delete or change any of these Terms and Conditions without prior notice to you with such changes to the Terms and Conditions to be effective immediately upon the change to the Terms and Conditions on our website and legally binding upon you from the date of change. These Terms and Conditions constitute the complete and entire agreement between the parties concerning its subject matter and supersedes all prior or contemporaneous agreements or understandings, written or verbal, concerning the subject matter of this document. The parties should not rely on any representations of either party not contained in this document. Note: By signing up to our services you allow (FindUrDate.com.au) to show your image or images on our website either on the front page or any where on our website or on our mobile app. This includes the members or the random viewers or any visitors to visit any of our services offered by (FindUrDate.com.au) including the website or mobile app through the App Store or the play store. Visitors visiting our websites or apps have the full access to view your images whether they are random visitors or the members. By becoming a member of our website at no cost, you may gain access to some, but not all, of the features and services. You are not permitted to transfer any services purchased by you to any other person. You will also have the facility to access chargeable features and services available. On access to these, any additional terms and conditions entailed will be made available on our website. We reserve the right to change the pricing for any services offered by us, at any time. In case of dissatisfaction, you can discontinue the use of this website or terminate your membership. The pricing for use of any chargeable services will be stated GST inclusive. We reserve the right to modify or suspend any service at any time. In case of any unusual activity, we reserve the right to suspend payment and contact you, your bank or any other relevant third party to account for the same. While we try to ensure that our services are available to you uninterrupted for 24 hours a day, yet access to our may be suspended temporarily without notice in the case of system failure, maintenance or repair or any reason beyond our control. Requests for refunds of any purchased services will be reviewed at our sole discretion. You agree to indemnify us for any loss, damage or expense that we(Findurdate) suffer in connection with your use of our website, including any breach of terms by you. To the degree that our liability cannot be excluded by law, our utmost liability to you will be restricted to the total amount paid by you, if any for any chargeable service purchased by you on our website, during the period of your membership. We will not be liable for any indirect, punitive or consequential damage, loss of income, profits, data, or otherwise arising due to business interruption of any type. You are solely responsible for content that you post on our website, for which we accept no liability. You hereby agree to not post content that may be is unlawful, obscene, defamatory, indecent, offensive or inappropriate, false or misleading, infringes the rights of any third party, pertains to soliciting sexual activity, containing restricted access pages, viruses, or programs designed to interrupt functionality of other computer software or hardware. We reserve the right, but have no obligation, to review, modify or remove any content posted by you that, in our opinion, violates our terms, or the rights of any person. We do not endorse any content posted by any person other than us or accept any liability for any loss, damage, cost or expense resulting from anyone's reliance on this content. You agree not to use our website to abuse, harass, threaten or offend others, engage in any surveys, schemes, unsolicited e-mailing, impersonate any person or entity, promote, illegal activities, hatred or harassment against any group or individual, exploit any person under the age of 18 or solicit money or personal information from any person. Our website is for personal use of individual members only and not commercial establishments and endeavours. We reserve the right but have no obligation to monitor retain and disclose any information as necessary to satisfy any applicable law or legal requirement. We urge you to be careful in your interactions with other members. You agree to excuse us in connection with any dispute or claim that you make against any other member. We own all proprietary rights relating to our website, which must not be used in any way without prior consent.You grant us the right to use, store, modify or publish in whole or part, your content, in any form, by any means, for any purpose. No other person may use, store, modify or publish in whole or part in any form, any content posted without the express written permission of the relevant owner. If you believe that any content has been posted, in violation of your rights, please feel free to contact us. From time to time, we may promote, advertise, or sponsor functions, offers, services, or other activities that may be conducted by third parties, even is such party is contracted by us, we do not accept any liability for any loss or damage that you suffer as a result of or in connection with your participation in such External Activities. Your participation in these will be at your own risk. These are subject to separate terms and conditions. Our website may feature hyperlinks to websites operated by third parties. We do not accept any responsibility for the contents of any such hyperlink, which you will enter at your own risk and thereby you will be subject to terms and conditions related to that website. Our website may also feature third party advertising, which does not in any way represent our endorsement of the advertiser or its products. These Terms and Conditions are intended for the sole and exclusive benefit of the parties and is not intended to benefit any third party. Only the parties to this document may enforce it. Risk Apprehension and User-end Precautions. There are three types of subscription plans. Silver Plan for 1 month validity. Gold Plan for 3 months validity. Platinum Plan for 6 months validity. All plans come with unlimited chat for the duration of the plan purchased and Price includes GST Once paid then the amount is non refundable. We are not responsible for any actions of users of this website or third parties. We are not responsible for any disclosure or publication of your information by users of this website or third parties. We are not responsible for any injury to person or damage to property caused or contributed to by you being a user of this website or by another user of this website or by third parties. We are not liable for any damages, losses, expenses, charges, fees, suits of any kind howsoever caused or contributed to by your use of this website, to the maximum extent permitted by law. The headings in this Agreement are for the convenience of reference only and have no legal effect. Each party has entered into this Agreement voluntarily, of his/her own free will and without pressure or duress from anyone. This Agreement and all matters arising out of or relating to this document shall be governed by the laws of Victoria, without regard to its conflict of law provisions. Any legal action or proceeding relating to this document shall be brought exclusively in the state or federal courts located in Victoria. The parties hereby agree to submit to the jurisdiction of, and agree that that venue is proper in, those Courts in any such legal action or proceeding. Our website include published links to other websites operated by third parties, which have their own set of content and privacy policies, regarding which we make no representations. Third party websites are liable to inform you about their own privacy practices. We take all practical steps to guard your personal information held by us, from misuse, loss, or unlawful access, including by way of firewalls, password access, secure servers and encryptions. 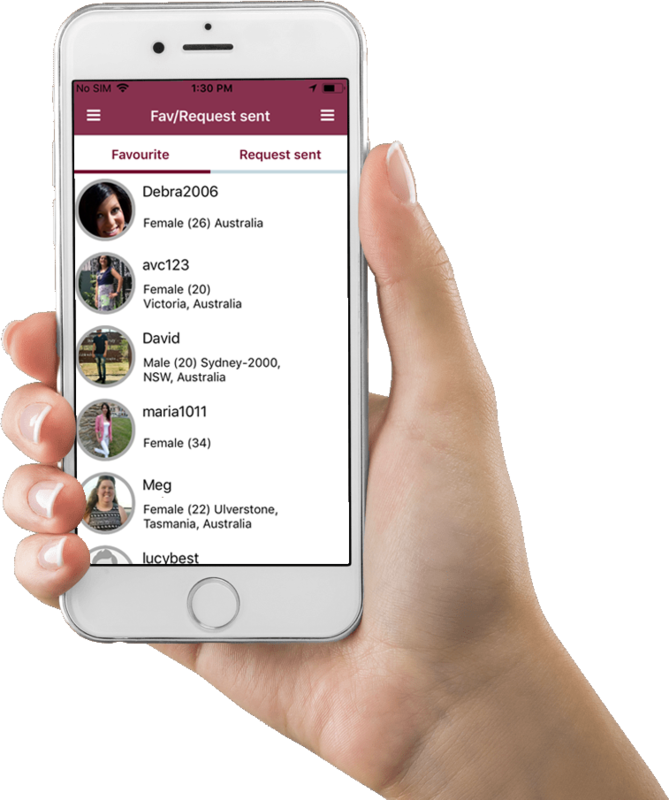 Find Ur Date is a free dating app and efficient platform that has been designed for singles seeking dates in Australia. Your love is just a few taps away! Install this free Dating app and sign Up to meet the one made for you. Your safety is provided by leading anti-scam system in the industry. All members profile picture are personally confirmed by our staff to prove they are real. Receive lots of attention from attractive members in Australia. One to one chat, group chat, send stickers & make presents.